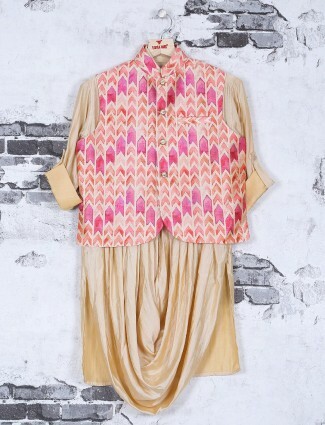 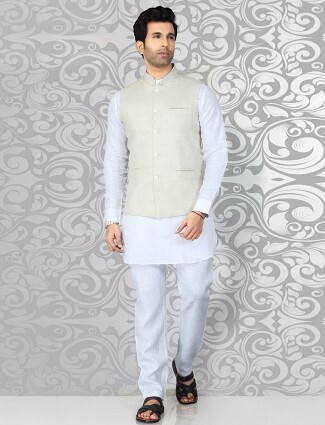 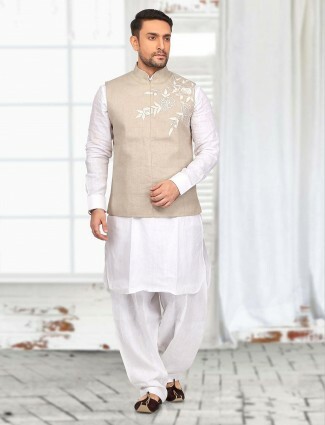 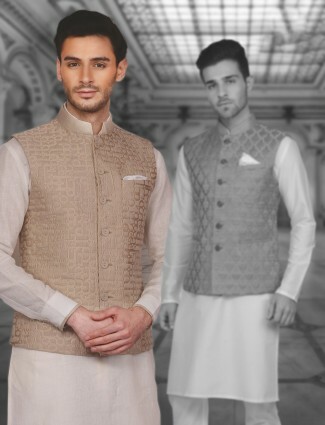 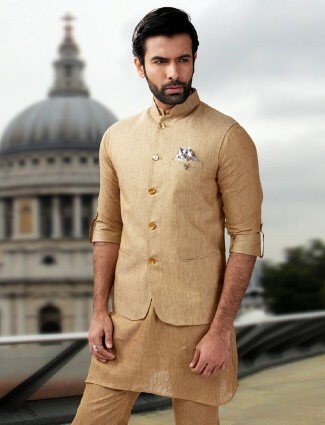 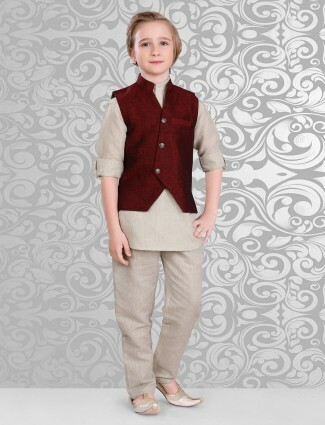 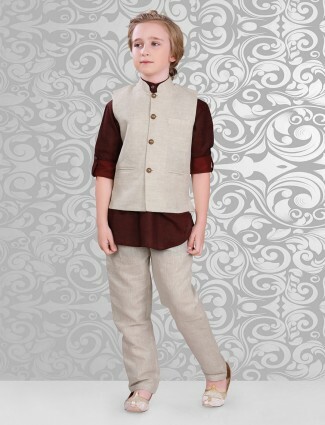 Terry rayon fabric beige color thread,zari weaving at over all waistcoat set for party wear. 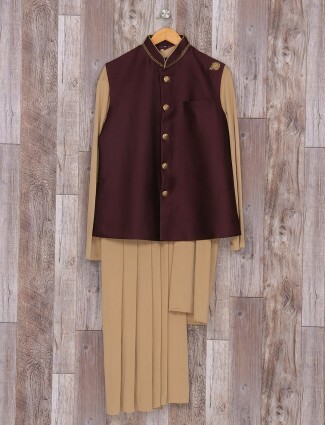 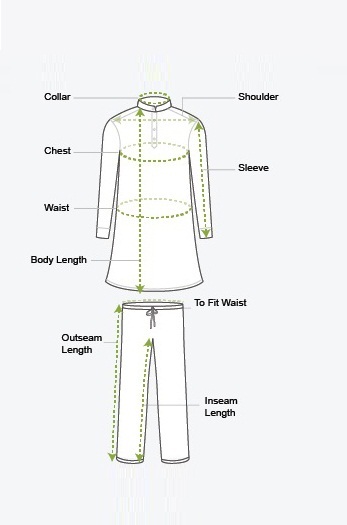 It has stand collar, cross hem, full buttoned placket, welt pocket with brooch. 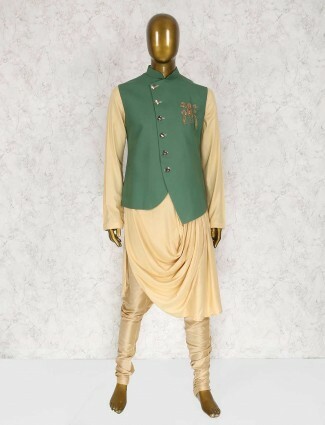 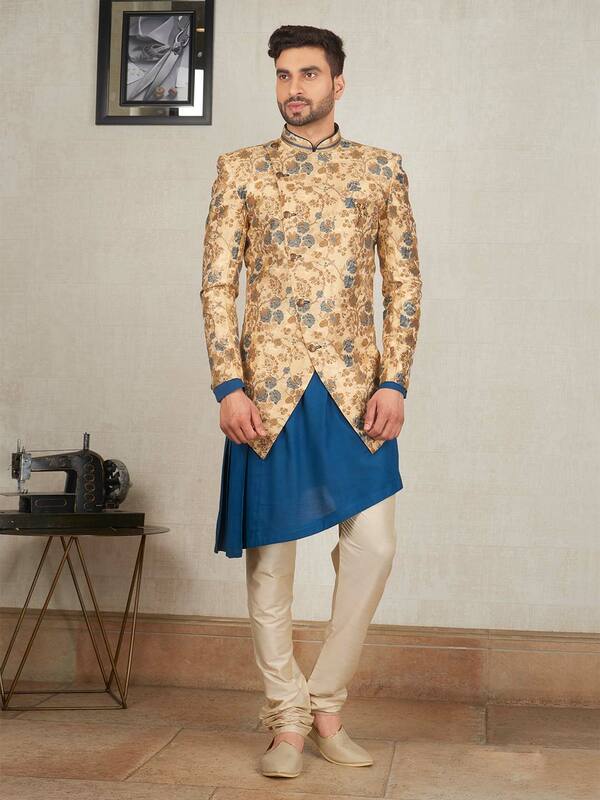 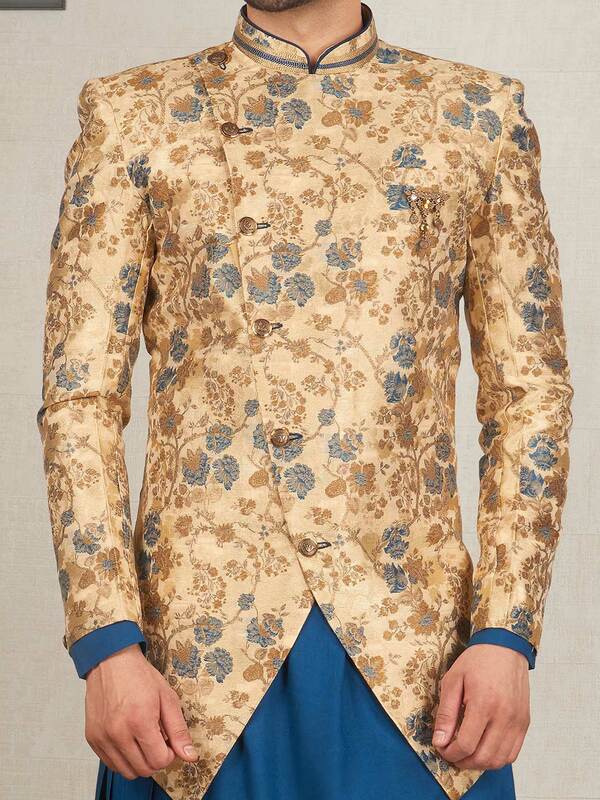 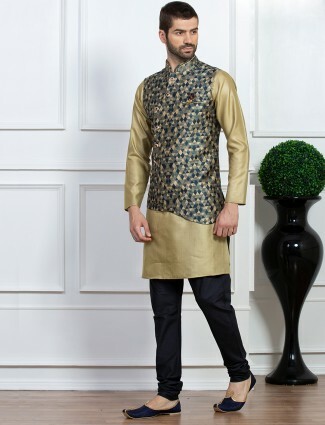 Comes with blue kurta and bottom.